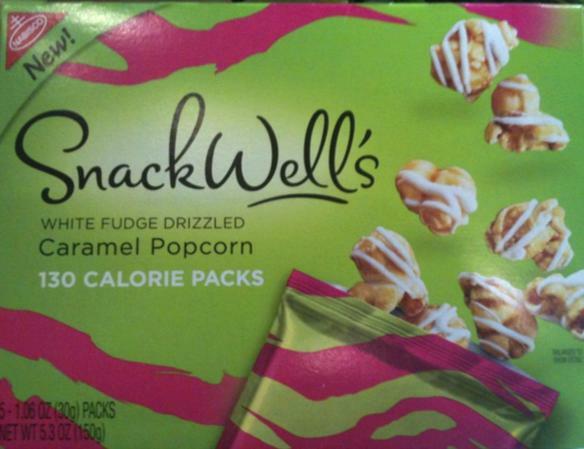 Apparently, I’m a sucker for product packaging, cause this new white fudge caramel popcorn from Snackwell, with its stylish green and pink zebra stripes, really caught my eye at the store this weekend. This morning I had a little sampling of these buttery white chocolaty popcorn nuggets and wowee, wow, wow…Delish! Since this was a buy one get one, I got the chocolate kind too, Which I definitely wouldn’t walk a mile for. It tasted a lot like coffee flavored popcorn. I love my coffee, but I don’t want it on my corn. The only drawback to this snack is that I wanted to eat another bag after finishing the first one, they don’t call me the stylish piggy for no reason!